Spring is beginning to make herself felt here in the Pacific Northwest. My daffodils are already coming up in the front garden, and the birds are getting busy thinking about nest building. 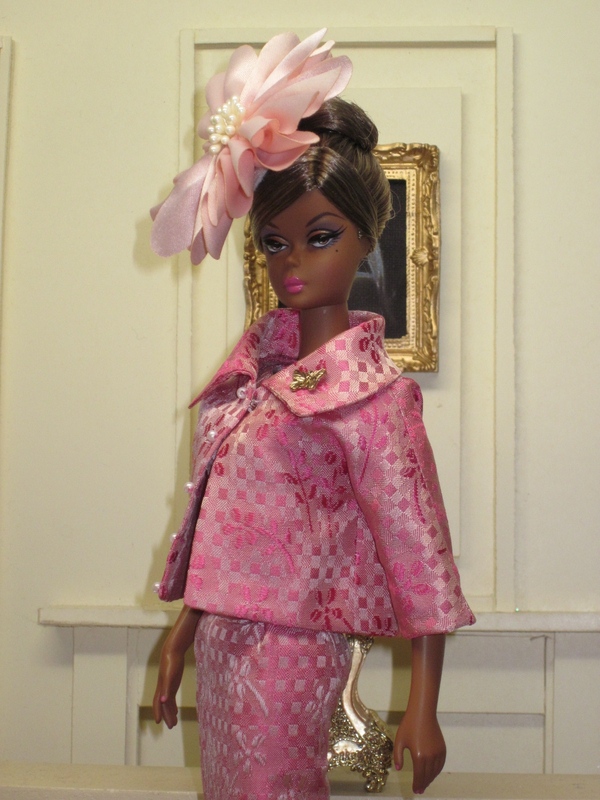 This suit is made from some spectacular silk brocade that I have had in my collection for years. It is one of my very favorite fabrics. Dark pink woven with white results in a shimmering, iridescent sheen. A subtle woven check is the background for a scattering of small blooms. Because it is a fully woven pattern, this brocade is equally beautiful on both sides. I decided to work with that. The sheath dress features the lighter flowers and darker background, while the jacket is made from the darker side of the fabric. 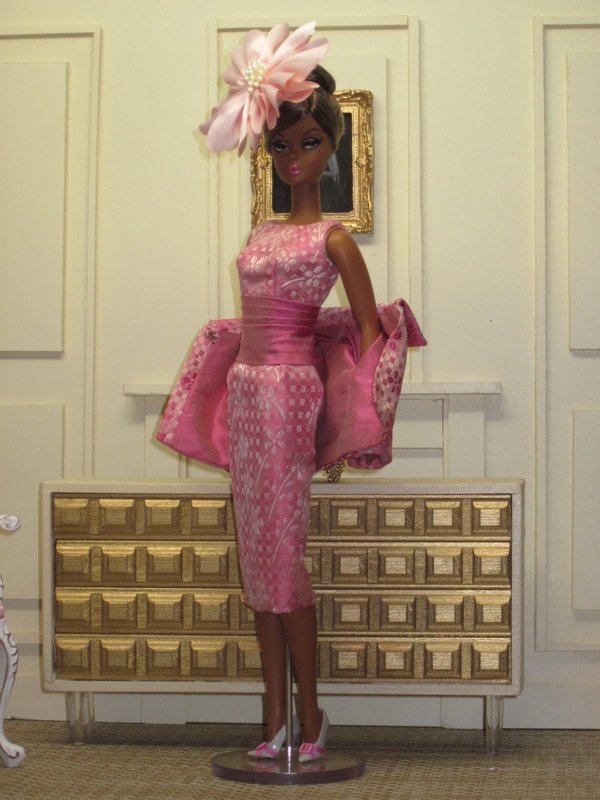 An iridescent carnation pink silk taffeta lines the jacket, while the same fabric is used for the pleated cummerbund. Tiny pearl buttons decorate the jacket. A golden butterfly, harbinger of Spring, decorates the collar of the jacket. 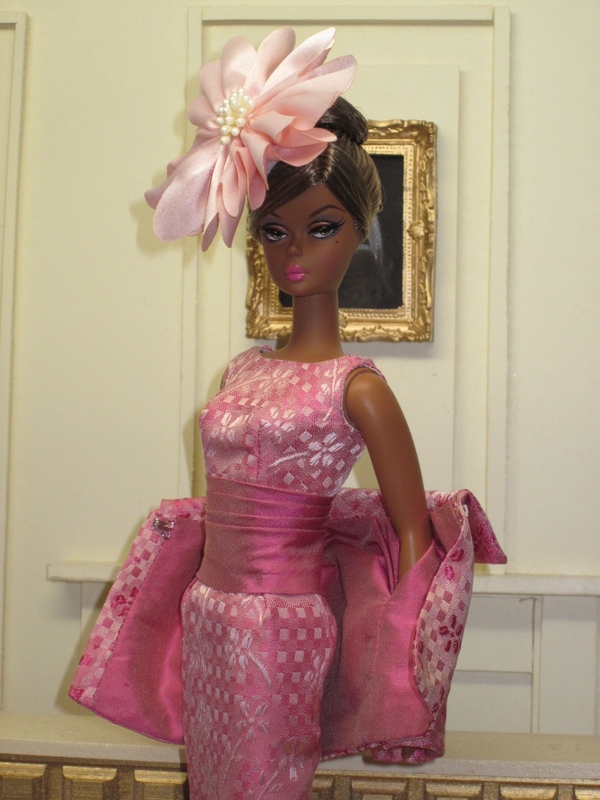 A pale pink satin flower hat with a cluster of pearl stamens finishes the ensemble. Thank you, Lutz! So glad you like it.